Motor Homes have the same type of glass in their windshields as regular vehicles. That means that small damaged areas may be repairable (see windshield repairs for details). Some insurance companies will waive your deductible if the windshield is repairable. 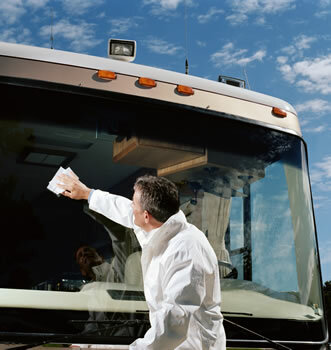 Richardson Glass Service can also replace other glass and mirrors in your motor home or RV.